Healthy teeth and gums are essential for whole body wellness. 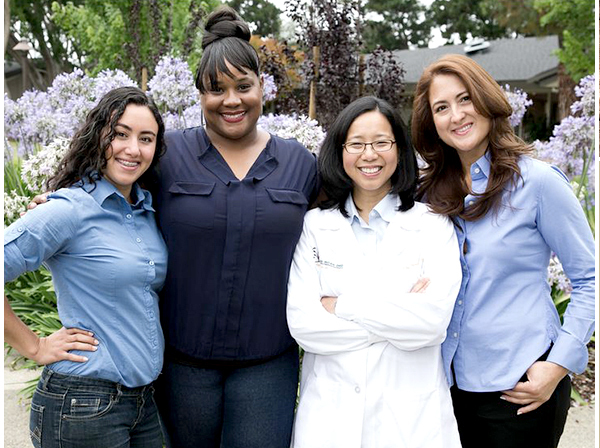 Sunnyvale dentist Dr. Ratna Indah takes a holistic approach that looks at dental issues not by themselves, but in a wider context to address any longer-term implications and achieve optimal health. In many cases, she says, bleeding gums or a series of cavities can be the “canary in the coal mine” for a deeper problem, like a bite that needs to be corrected, sleep apnea, an infection that has been going under the radar, or sleep apnea. Many people don’t know that sleep apnea can cause dental issues, she said, but when people sleep with their mouths open, the mouth becomes more acidic and teeth don’t remineralize as effectively as they need to. When such an issue crops up, she meticulously investigates so that she can treat not just the surface issue, but also the underlying problem. In one case, she saw a patient who kept losing the same filling over and over – it just kept coming out. After further examination, Dr. Indah discovered that the patient had an extra tooth on one side of her mouth, which kept her bite from being correct and led to the filling not being stable. She made an onlay to fix her bite, which not only kept the patient from losing fillings but also led to improved jaw mobility. A third-generation dentist who has over a decade of experience and who got her dental degree from Tufts University, Dr. Indah uses cutting-edge dental technology as well as minimally invasive procedures. Treatments like laser-assisted cleanings and anti-bacterial ozone encourage faster healing and longer-lasting dental health, and her office also offers Dental Vibe for painless anesthesia and microabrasion for shot-free and drill-free dental work. Patients are consistently impressed with Dr. Indah’s knowledge, expertise and warmth. In addition to comprehensive care for regular dental needs, Dr. Indah specializes in safe removal of silver fillings, teeth whitening, dental implant restoration and full mouth reconstruction, as well as treatments for sleep apnea and Temporomandibular Joint Disorder (TMD), which can have negative impacts on your dental health. To learn more about Dr. Indah’s practice, call (408) 730-8777 or go to http://drindah.com.